In addition, the Class 1 said it planned to push capex even lower in 2020 and 2021. On the positive side, the company is planning a 42 percent increase in the number of ties it replaces and will contract out a few other big-ticket projects. 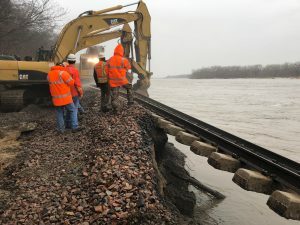 But in disappointing news for contractors and vendors, KCS will add just 25 miles of rail this year – a dramatic decrease from the 55 miles it added in 2018. In addition, the railroad said some 8 miles of rail will be added to the Meridian Speedway LLC (MSLLC), a joint venture between KCS and Norfolk Southern. That’s a modest increase from the 6 miles added last year. 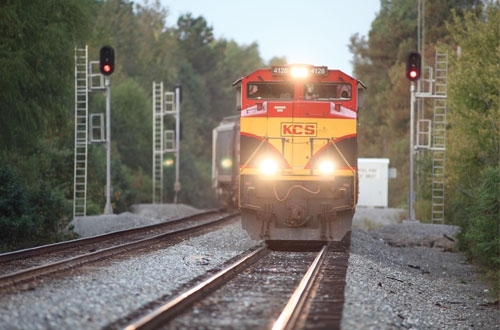 KCS is getting on board the Precision Scheduled Railroading (PSR) train. The Class 1 said it will implement PSR “methodology that are most applicable to our network” in 2019. 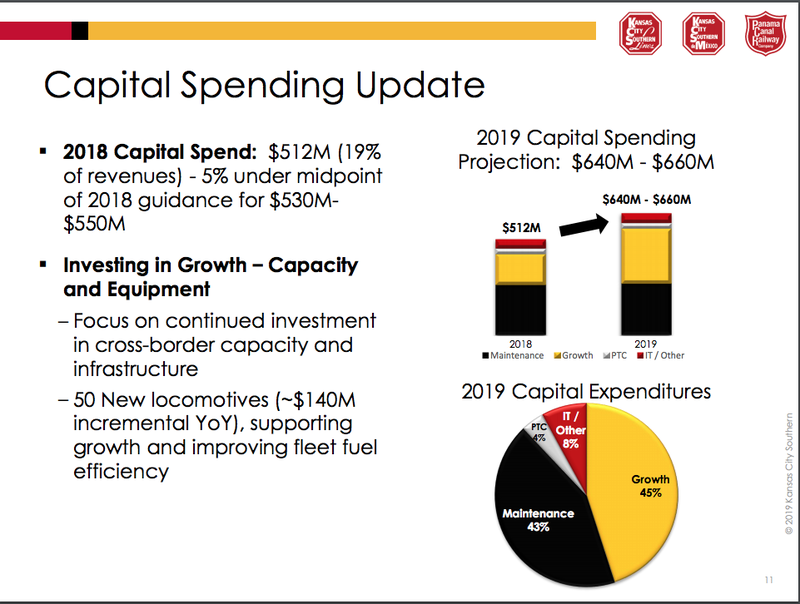 The railroad reported full year diluted earnings per share of $6.13, and adjusted diluted earnings per share of $5.97, an increase of 14% vs. prior year. Mark Wille, assistant vice president engineering field operations, told attendees at the NRC Conference on Marco Island earlier this month, that KCS would replace 460,000 ties this year, up from the 323,000 of last year. 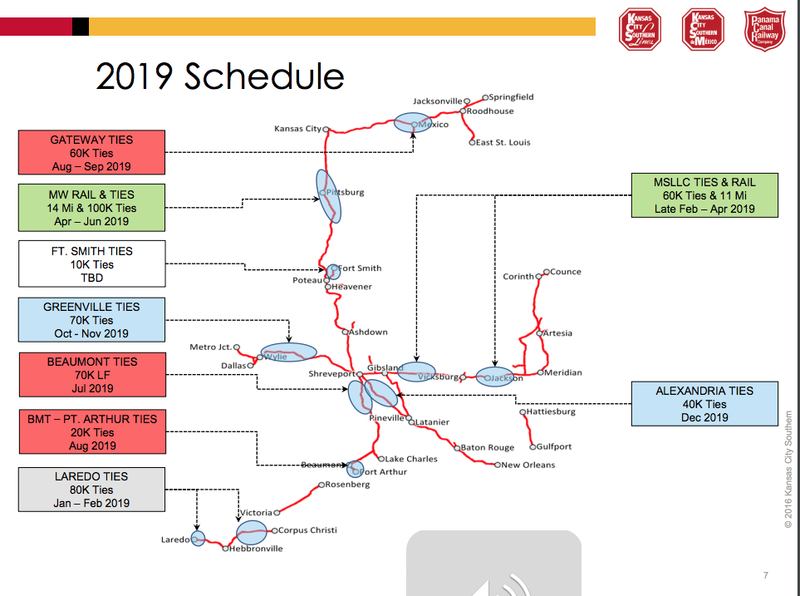 Although much of the tie work would will be done by KCS employees, there is work coming for contractors and third-parties — most notably a 4,500-tie project on the Delisle Branch. “We’re probably going to contract that out,” Wille said. 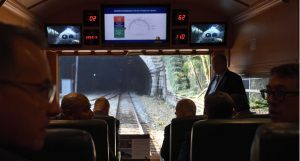 In addition, system curve work should continue at about 20 miles a year, and the railroad “typically contracts that out,” he said. Tie programs on MSLLC are expected to hold steady at 60,000. Among some of the larger projects expected in 2019 are 10,000 foot siding expansions at Spear and Weatherford, and an expansion of the Corpus Yard. On the technology front, KCS plans to develop “Dynamic Track Charts” and a tie/rail/ballast database. All of that work is “coming up for bid,”Wille said. 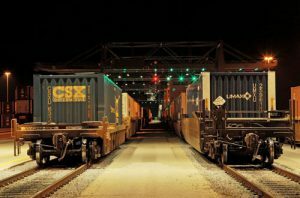 One interesting announcement in the earnings call was that KCS has hired Sameh Fahmy, a former vice president at CN, as a consultant on precision scheduled railroading (PSR). Fameh is seen as a cost-cutting guru. And his skills are such that Hunter Harrison, the godfather of the PSR movement, broke his “no consultants” rule at CSX to bring Fameh back to his team, according to “Railroader, The Unfiltered Genius and Controversy of Four-Time CEO Hunter Harrison” by Howard Green. Fameh’s arrival at KCS comes several months after the railroad hired a number of new executives. 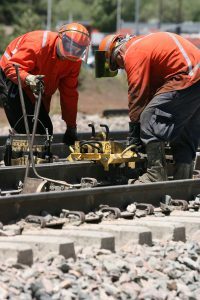 Headquartered in Kansas City, Mo., Kansas City Southern is a transportation holding company that has railroad investments in the U.S., Mexico and Panama. Its primary U.S. holding is The Kansas City Southern Railway Company, serving the central and south central U.S. Its international holdings include Kansas City Southern de Mexico, S.A. de C.V., serving northeastern and central Mexico and the port cities of Lázaro Cárdenas, Tampico and Veracruz, and a 50 percent interest in Panama Canal Railway Company, providing ocean-to-ocean freight and passenger service along the Panama Canal.